Nathan Crowley grew up in London. He did a year studying Fine Arts in London then went to Brighton Polytechnic where he studied architecture. 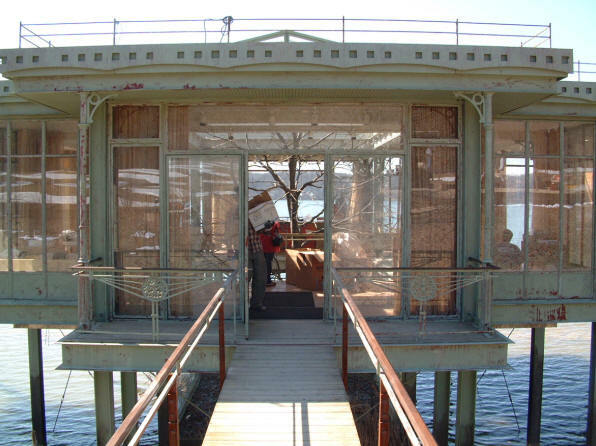 His dad and granddad all held a degree in architecture, and he grew up in a glass house designed by his father. Crowley briefly worked for Thomas Saunders in London then about six months with Robin Moore-Eadd. After a while, he was disillusioned with the emptiness of most commercial architecture. "There was nothing to be part of, nothing to belong to." Crowley came to the US in 1990. 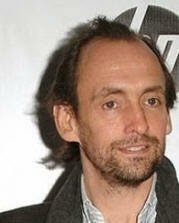 He entered American film as a junior set designer for the movies Hook and Bram Stoker's Dracula. He subsequently designed sets for Star Trek: Deep Space Nine and movies including Maverick, Braveheart, Assassins, Batman Begins, The Prestige, and many others. 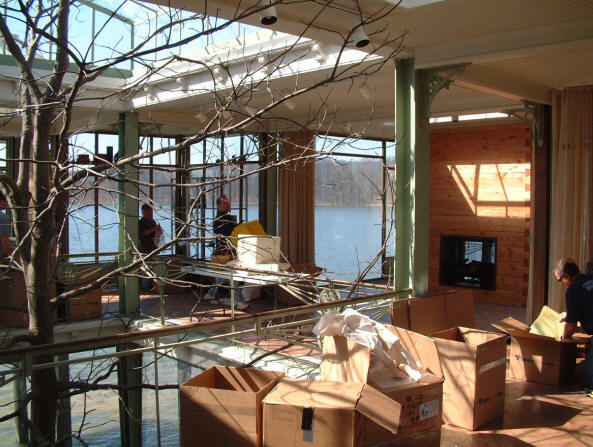 He was hired to work on The Lake House in 2004. He sought a lake with nothing on it, no piers, no houses, just purely nature - hard to find. He ended up using a park. Although the movie was not a big hit, the house he designed was quite extraordinary and loved by the public. It was built expressly for the movie and destroyed shortly after filming. 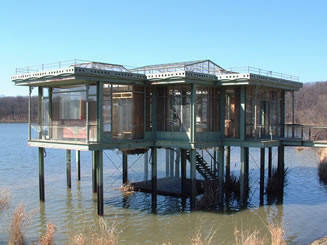 Star Sandra Bullock’s only regret was that the 2000-square-foot glass house was not going to last. “I loved it,” she admits. “I was so disappointed that I couldn’t keep it, move it, and at least use it as a guest house somewhere.” Stunning. 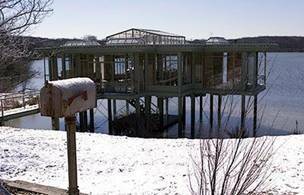 2005 - aka The Lake House was constructed at Maple Lake near Chicago expressly for the movie of the same name with Sandra Bullock and Keanu Reaves. Architect Nathan Crowley collaborated with engineers McDonough Associates and veteran Chicago construction coordinator Troy Osman. Crowley took the 2,000 square foot structure from sketches to completion in just ten weeks: 2 weeks design and documentation, 4 days bidding, and a scant seven weeks for actual construction. 35 tons of steel and a crew of nearly one hundred was required to finish the house by the time filming was scheduled to begin. 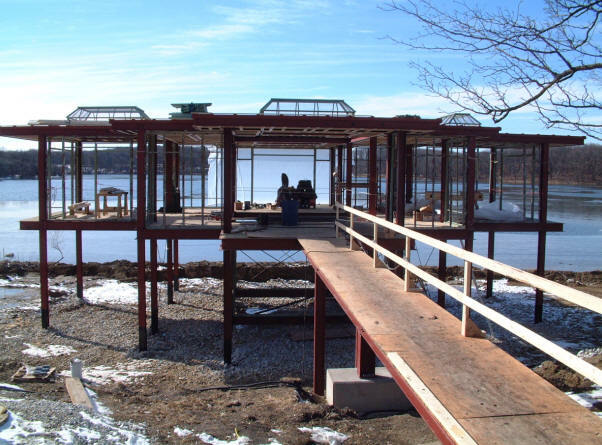 The house was actually constructed on dry land next to the lake, atop steel beams that rose 10 feet above the waterline, which was created by excavating nearly 1200 cubic feet of soil and letting lake waters flood in under the pilings. Although the house would be exposed to strong spring winds, Crowley vetoed diagonal bracing, which would obstruct camera angles. McDonough Associates had to come up with "moment-resisting frames" that minimized the kind of lateral movement that could crack the house's all-glass walls. 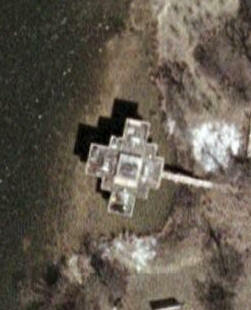 Sadly, due to agrement with the property owners, it was destroyed after filming. The house won an Award of Merit from the Structural Engineers Association of Illinois. 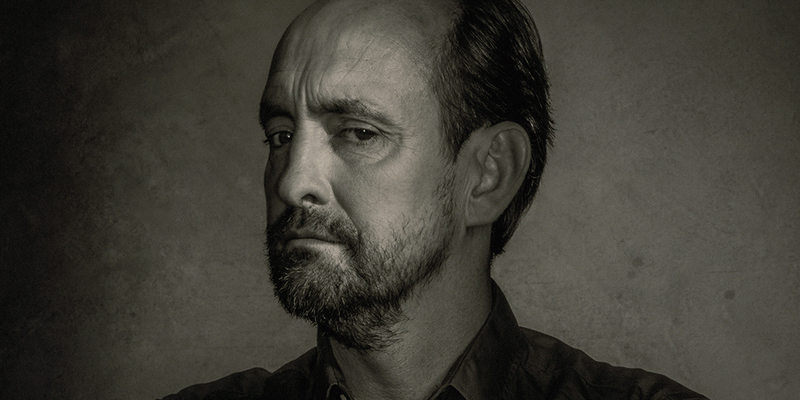 Crowley was on the jury for the 2016 Matsumoto Prize. Sources include: Nathan Crowley, Celebrity Wonder, Fritz Hengge of McDonough Associates.